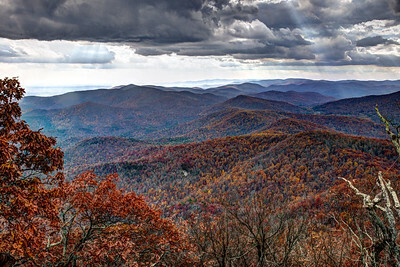 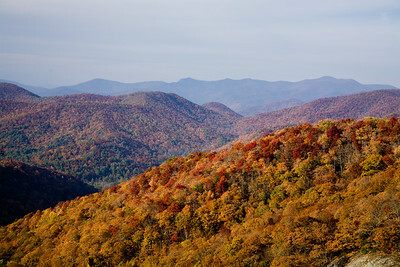 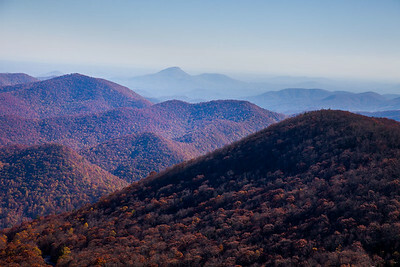 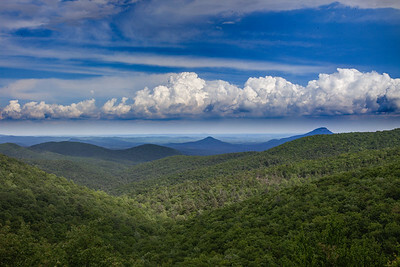 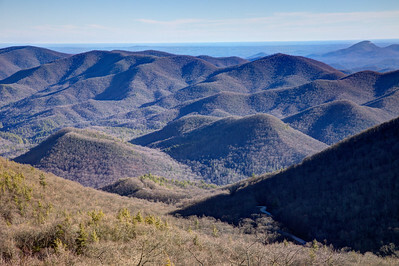 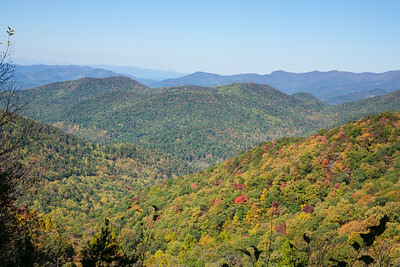 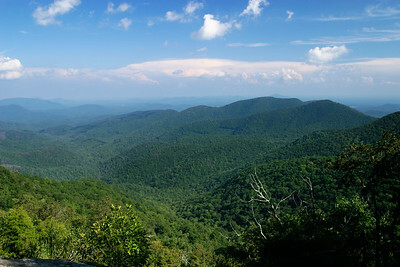 There are 28 mountains in north Georgia reaching heights of over 4000 feet, the highest being Brasstown Bald at 4784 feet. 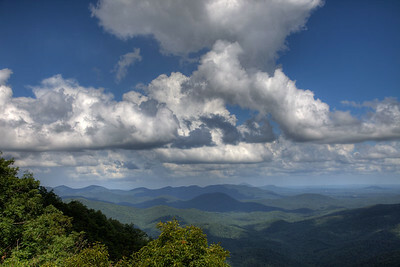 The photographs in this gallery were made mostly at mountain gaps and on the Appalachian Trail. 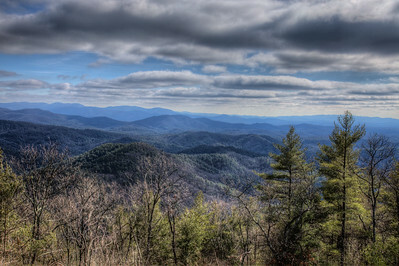 View from the Richard Russell Scenic Highway overlook looking south. 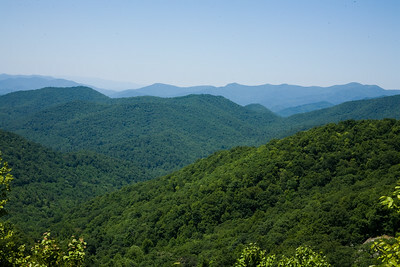 View from Preaching Rock on the AT north of Woody Gap. 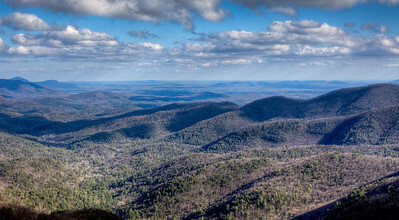 View from Hogpen Gap looking north towareds Hiawassee, Ga.
View from the Cohutta Mountains looking east toward the Rich Mountain Wilderness. View from Hogpen Gap looking north. 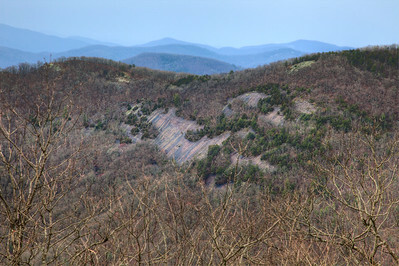 Scene from Hogpen Gap looking north. 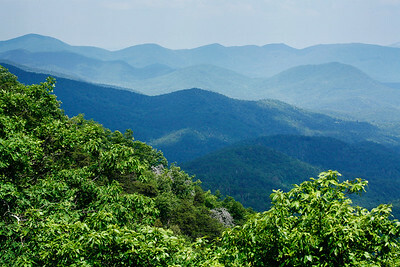 One and a quarter mile north of Woody Gap on the Appalachian Trail. 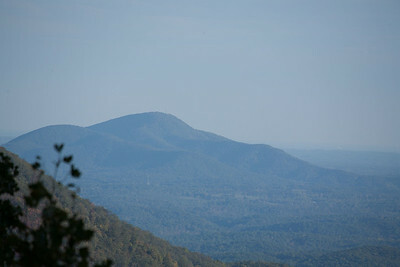 Preaching Rock one and a quarter mile north of Woody Gap on the Appalachian Trail. 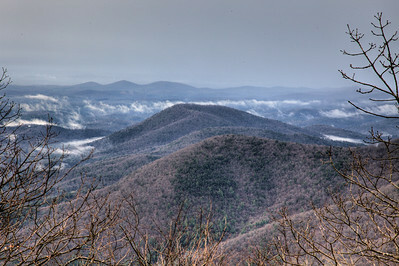 View from Preaching Rock one and a quarter mile north of Woody Gap on the Appalachian Trail. 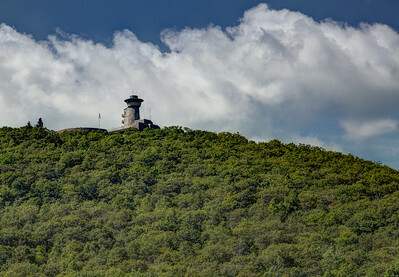 Visitors Center at Brasstown Bald. 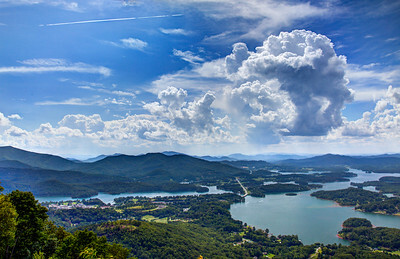 Lake Chatuge and Hiawassee from Bell Knob. 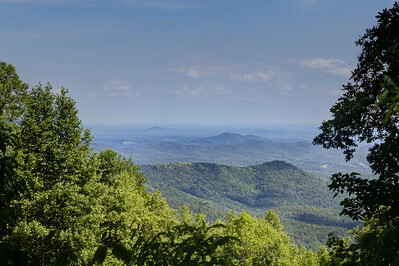 View from Blackrock Mountain State Park. 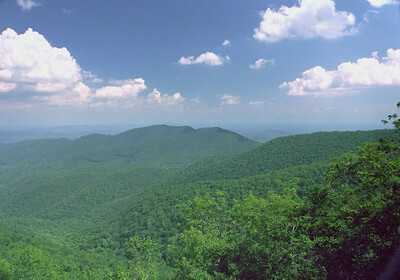 View from Blood Mountain looking south along the AT.